So you’ve decided to create an app for your business… great choice! You’ll soon be reaching out to a whole new audience as you put your business at the cutting edge of technology, but first, you need to develop it. 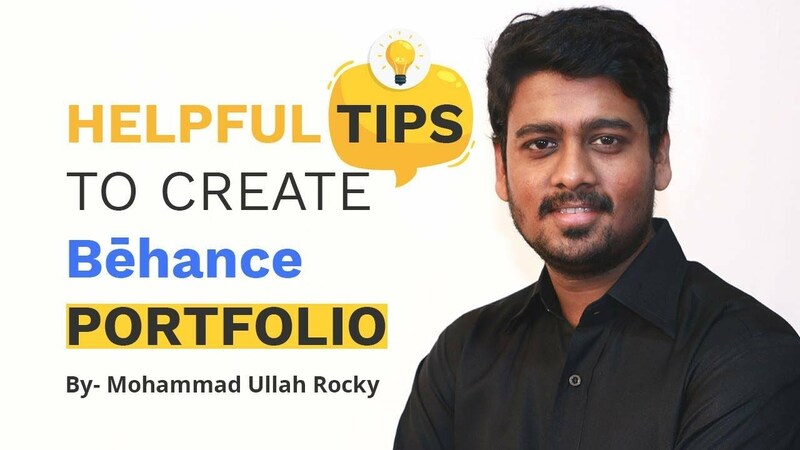 You’ll undoubtedly want your app to look great and portray your company in the right way, so for that, you’ll need a variety of fantastic graphics. From icons to headers, splash screens, custom buttons and much more, it can be difficult to know where to start when it comes to their design, but fortunately, there is a range of great, FREE tools out there that can help you along the way. 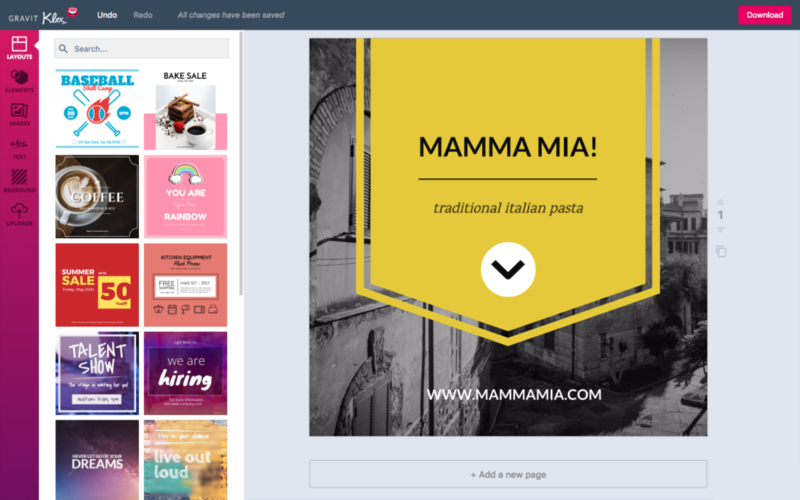 Canva is one of the most popular design platforms out there, and with its easy to use drag and drop functionality, great choice of templates and illustration options, it’s not hard to see why. 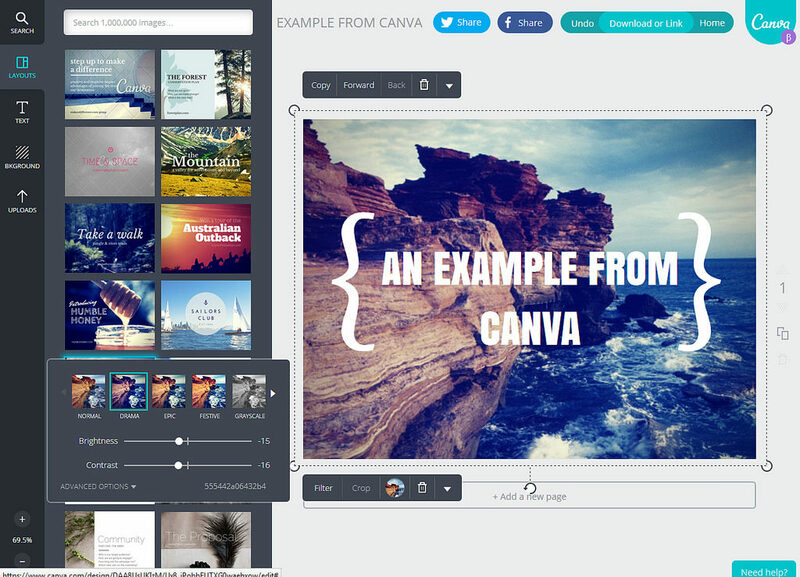 With Canva, it really doesn’t matter if you haven’t designed anything before as the straightforward drag and drop interface lets you add text, uploaded images or graphics from their extensive library anywhere onto your base design. You can choose one of their preset sizes or select your own to ensure the finished graphic fits perfectly into the designated space on your app design. With over 10 million active users, Canva makes the job of designing graphics fun and easy, and what’s even better is that it is completely free to use; giving you access to over 8000 templates, a large proportion of their stock library and 1GB of memory. A great choice for designing splash screens and icons for your new app, Gravit Designer is clean and easy to use, with an interface that will adjust to exactly how you need to use it. 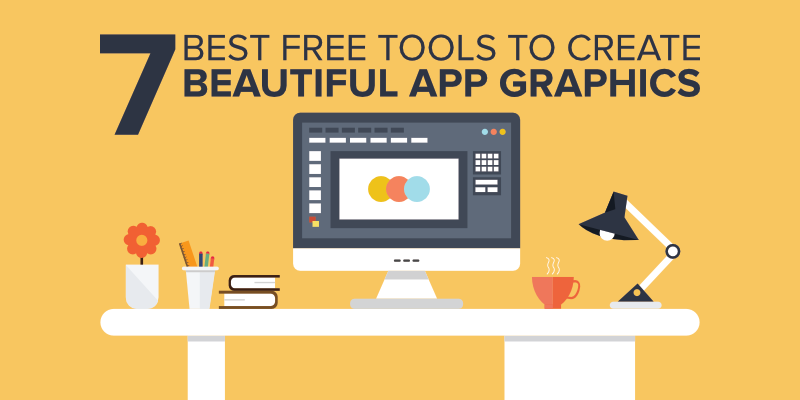 There is a great choice of tools for you to take advantage of, including a knife tool, blending modes and much more that will go a long way in helping you to create stunning graphics that will perfectly compliment your new app. 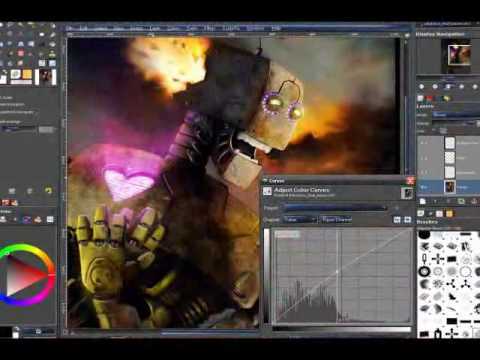 This free graphic design software is well worth playing around with as you get to grips with the many different elements to it, however, with a little investment in time you can make the most of all that the software has to offer. If you’re looking to use photos within your new app, Pixlr enables you to edit and play around with its various effects, overlays and borders. It is an app available on both iOS and Android, so you can upload any photos directly from your phone. There are over 600 effects to choose from to add to your photos, as well as being able to do everything else you’d expect from a photo editor such as cropping, resizing, whitening and removing the increasingly common red eye. 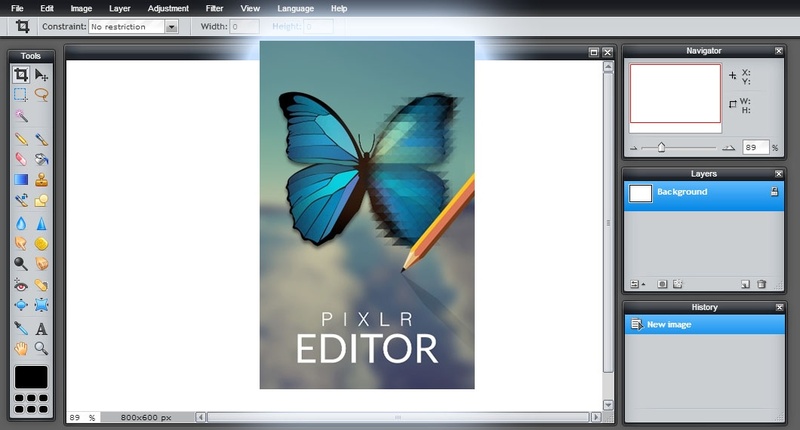 If you’ve used Photoshop to work on photos in the past, you’ll soon get to grips with Pixlr as its interface is very similar and arguably more straightforward to use. Like the idea of illustrations and cartoon imagery within your new app? 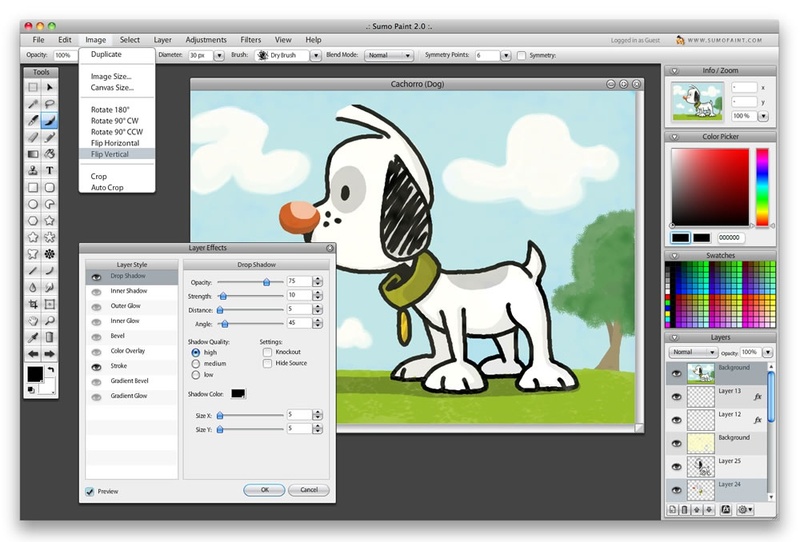 Sumo Paint is browser-based and has a free version that is very easy to use. You have access to brushes, shapes, pencils, gradients and cloning elements to name just a few of the features, all of which are accessed through a floating toolbar, in a similar style to Photoshop. You’ll need to ensure you have the latest version of Adobe Flash Player to use the tool, which makes it inaccessible if you want to use an iPad, however on your laptop you can benefit from a lightweight, quick loading design platform that you’re sure to love. 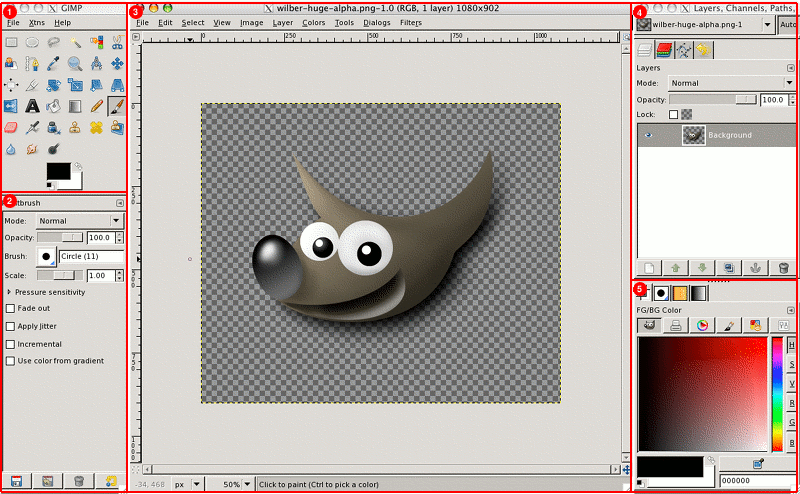 GIMP is open-source graphic design software that an increasing number of people are migrating over to from Photoshop. The interface is different in many ways, however, there is a version that replicates Photoshop’s look and feel, making it easier to move from the old to the new. 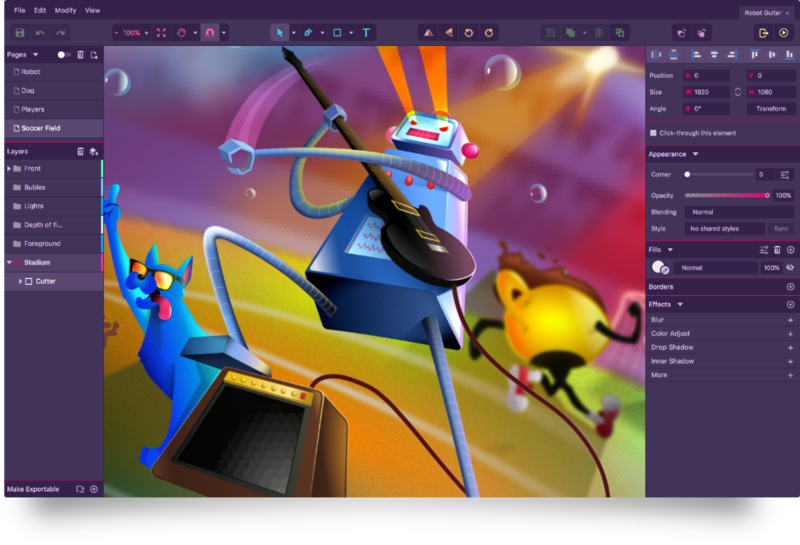 You then have access to a full suite of tools to help you make incredible looking graphics, including the trusted favourites like painting tools, cloning, colour correction and enhancement. What’s also great is that the development team have created a product that offers compatibility with all of the popular file formats, therefore making it easy to upload any existing graphics that you want to make amendments to. If you want to create great looking graphics at speed, Klex is the platform to do it on. This easy to get to grips with platform hasn’t been designed with the pro-designer in mind, therefore for all you design novices out there, this is a great place to start. You can choose from a wide variety of existing templates as well as a plethora of design assets, effects and fillers. There’s then a choice of fonts if you want to add text to your designs alongside some fab customisation options too. To dip your toe into the design world, Klex is a great tool to mess around with and we can guarantee that you’ll surprise yourself with the quality of the results you produce. Whilst not necessarily design software as such, Behance is a great place to look for inspiration and see what your peers are creating! 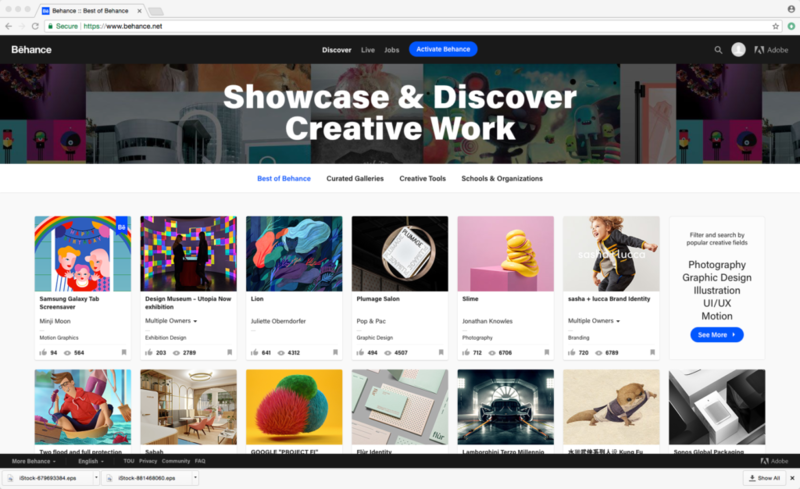 Behance gets millions of views each month, so if you have a design that you’re particularly proud of, you can add it to Behance for all to see too! You can then browse through thousands of designs by searching across a range of categories for further inspiration on what might look great within your new app. Creating graphics for your app doesn’t have to be a scary process, so even if you’ve never designed anything before in your life, there are plenty of easy to use tools that enable you to produce designs that exceed your expectations and add a real touch of quality and uniqueness to your app design.